With the rise of Alzheimer’s and other brain related problems it is a good idea to take this daily. B vitamins like to be together – they work best as a group rather than individually. Taking a look at what all 8 B vitamins do might interest you. Thiamine (B-1) helps to support immunity and the formation of new cells throughout the body. Riboflavin (B-2) is a very powerful antioxidant which fights free radical damage throughout the body, and especially in the brain. 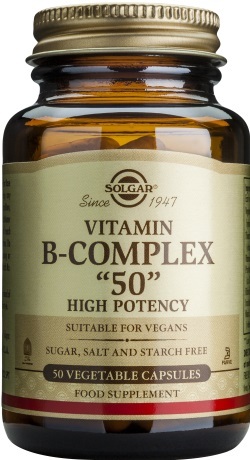 It combats premature ageing and assists in forming new red blood cells. Find it in grass-fed beef liver, lamb and grass-fed dairy products. Niacin (B-3) boosts blood circulation in the body and brain, and also increases healthy HDL cholesterol production. Certain hormones rely on niacin for their production and you’ll find this B vitamin in turkey breast, liver, tuna, mushrooms and chicken. Pantothenic Acid (B-5) is needed to produce energy in the body by breaking down fats and carbohydrates, it helps to produce critical hormones and is found in liver, sunflower seeds, salmon, avos and mushrooms. Pyridoxine (B-6) is amazing. Low levels are associated with inflammation and neurological issues. It regulates homocysteine and also assists with the production of certain hormones. Find this in turkey breast, grass-fed beef, pistachio nuts, tuna and pinto beans. Biotin (B-7) is helpful with raised glucose levels. Excess glucose damages the small blood vessels in the brain and over time lead to dementia, so getting enough is important. Find it in eggs, yeast, liver, almonds and sunflower seeds. Folate (B-9) also known as folic acid, is vital for healthy pregnancy, a healthy brain and a good memory. You’ll find this in grass-fed beef, eggs, liver and asparagus. Cobalamin (B-12): now it’s very important to take methylcobalamin (the real one) not cyanocobalamin (the synthetic version) if you want it to work. It assists in producing red blood cells and haemoglobin which carries oxygen to your blood. Low levels can have devastating effects such as cognitive impairment, digestive issues, memory loss and a host of other problems. Find it in red meat, shellfish, liver, grass-fed beef, eggs, fish and some dairy products.